These cakes come together in a flash. It’s a great way to use up leftover quinoa. 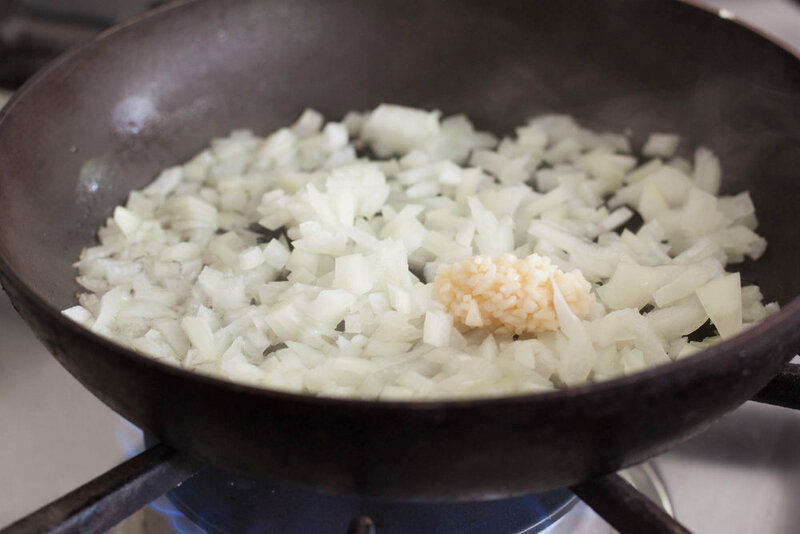 Start by sweating onions and garlic in olive oil, over medium heat.